Fire pits help to create a magical event atmosphere, offering a unique source of warmth and light. Tipis are the only outdoor structure that allow you to have a proper indoor fire. You can have up to one fire pit in the centre of each tipi. We can provide two sizes of fire pits, or Kadai fire bowls for use outside should your venue allow. 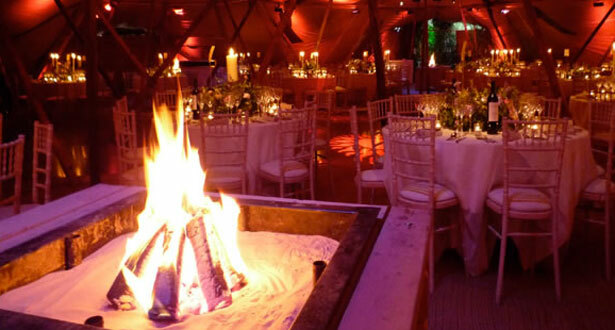 We provide kiln-dried Ash logs for an authentic fire with minimal smoke or bio-ethanol for a smokeless fire, which can be used in off-white tipis. Large fire pits come with a wooden lip that mean you can toast marshmallows or warm cold hands safely.